Authentication with 2nd factor and security by design. Secure access to all digital environments, servers and applications. Provide Single Sign-On connections, real-time provisioning or shared accounts for any team or group to decentralise all access management. Safety and security will become the standard. Topicus KeyHub provides an integrated 2FA solution for all users and contractors. With the push notifications of the Topicus KeyHub mobile app, just an 'Ok' is enough to authenticate. Already have a 2FA-solution in place? No problem, KeyHub integrates with many commonly used solutions. 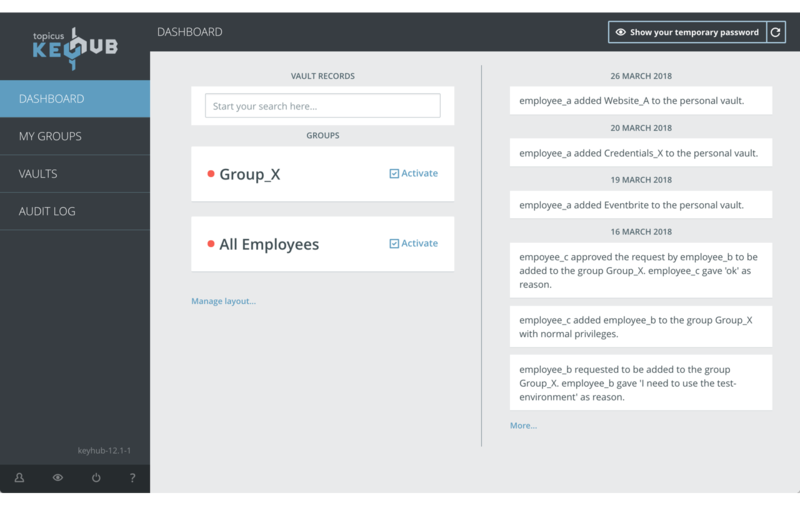 Every event in Topicus KeyHub is logged into a clear audit trail. Transparency is key, so any user can see all relevant events. Furthermore, this simplifies certifications and compliance as an overview on all access management is presented with just one click. Transparency is crucial in digital security. With Topicus KeyHub all access management events are shared with all group members. Anomalies are detected much faster as everyone is actually involved. This shared awareness is what we call social security. 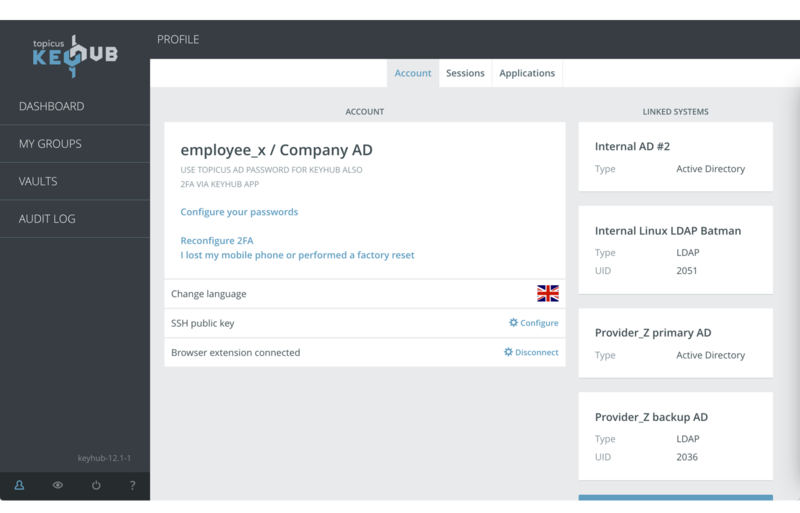 Super-admins are eliminated and all admin-accounts are secured with Topicus KeyHub. No more unnamed (root) accounts but named privileged accounts which are inactive by default. With real-time and time-based provisioning accounts are only activated when required and automatically deactivated afterwards. That's what we call Security Hygiene! All data in Topicus KeyHub is encrypted. Thanks to multi-layered AES-256 encryption using the PBKDF2-SHA512 algorithm with 64k-iterations, passwords and secrets are secured in such a way that access without KeyHub is basically impossible. You can find more information in our white paper. Topicus KeyHub ensures certifications like ISO 27001 and SOC2. Every access of all employees and contractors is visible and accountability is standard. 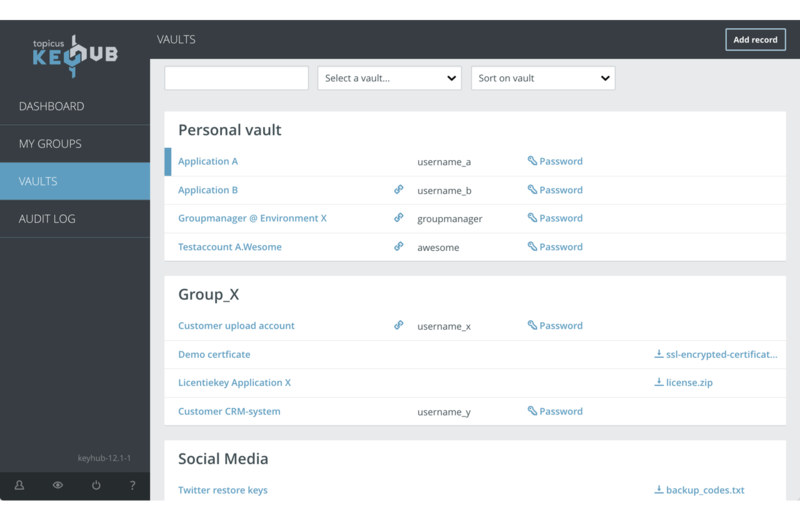 The Security Manager Center enables custom procedures and verification of group members. Your security officer will love it! 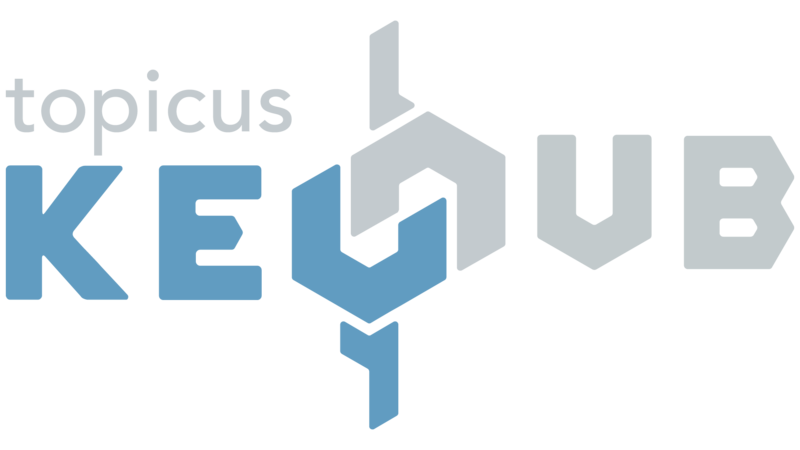 To see Topicus KeyHub in practice with all benefits explicitely pinpointed to your organisation, just send us a message and we will schedule a demo!